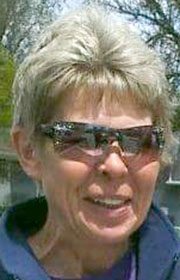 Rhonda Kay (Lentsch) Peterson 56, wife of Curt Peterson of Otho, died Saturday, April 21, 2018 at the Paula Baber Hospice Home in Fort Dodge, Iowa. Visitation will be Wednesday, April 25, 2018 from 4 to 7 pm at the Historic Bruce Funeral Home. A Celebration of Life will be held on a later date, SUNDAY MAY 20, 2018 from 2pm to 5pm at the Fort Dodge V.F.W.